Love art, but find the Murmur to be more like a scream? Then the Saturday Stroll might be just what the artist ordered. The Saturday Stroll is quieter and more focused on the art in the galleries that participate in Oakland’s highly popular Art Murmur, luring in art enthusiasts who prefer a lower profile scene. It runs from 1 to 5 pm every Saturday afternoon. 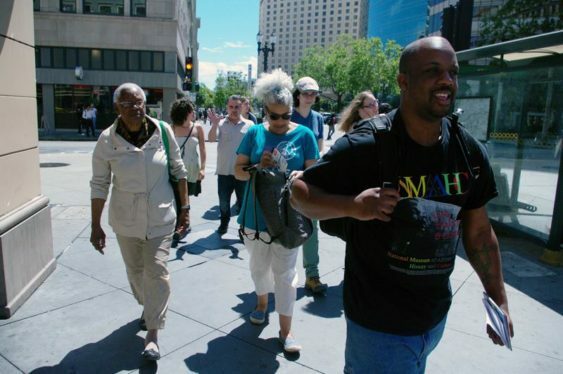 On every third Saturday from 2-4 pm, there is a guided walk led by Oakland curators, writers, and artists. Each tour brings visitors to 3-5 galleries, with short presentations from curators or artists at each location. Updated 9/7/18 – Event info last checked via website.